Spring and summer are around the corner which means so are summer fashions. Arms and shoulders are about to be on display, so now is the time to make sure they are show-ready. 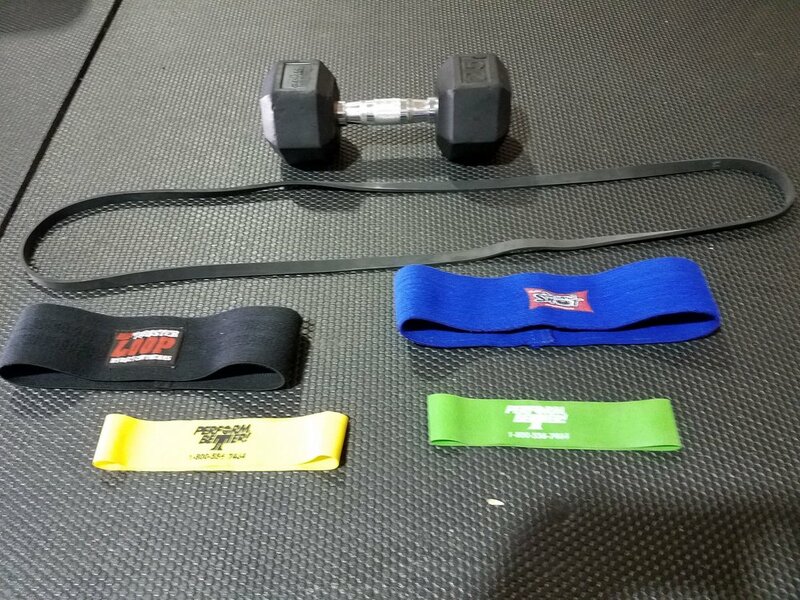 This is a giant set, so make sure you have all weights and bands ready to go. Lateral raises for front and lateral shoulder work. Shoot for a few rounds, 10-12 reps each exercise. People try to scare new Moms. They make them believe their babies are all watching their every move so they act proper and always do the right thing as a perfect role model. Is this the case?? Here’s the deal - while you definitely don’t have to be perfect all the time, children are looking to their parents to role model behavior, habits and what a healthy lifestyle will look like. Here’s an awesome story to prove that THEY ARE WATCHING! We just celebrated Veteran’s Day here in the US and since it was a “holiday” many daycare’s were closed. Amy, my client (also my blog and website consultant and one of my ex-athletes I coached at NK) didn’t have anyone to watch Hadley, her beautiful 14 month old daughter. My Mom was off from her school so she agreed to watch her in the gym while Amy got her lift on. Hadley got to meet all the gym goers that morning and she loved it. Amy went about her normal routine and got her big lifts in while Hadley was entertained by my Mom (Linda). She would peep out to see her Mom do some big lifting now and then. Looks like Hadley was watching her strong Mom that day in the gym and wants to emulate her actions. We are just glad that she is taking to weight training at a mere 4 months! Haha! I think it’s safe to say that Hadley (and many other babies) ARE watching their Moms after all! Just glad Amy is a great role model and being healthy for her baby Hadley. Social media is everything nowadays. Instagram, Facebook, Snapchat, Twitter. Being “social” has taken over everything from making online purchases, to hitching rides, to even processing payments for businesses. It’s a crazy social world out there. While “social” media is an integral part of our lives, the real social aspect of life is interacting with people in the same room still. The definition of social media is to participate in social networking. Making friends and making real connections (not just a Facebook “friends” who you’ve never met before) is still the backbone of our society. It’s something that people still value, and look for in their daily lives. Semi-private training allows that to happen organically. You are inevitably working out with a few people in the same room, sharing equipment and getting to know people more than in a normal gym situation. As opposed to the autonomy of a big box gym, or the isolation of totally private training, the small private studio atmosphere allows people to communicate with each other day in and day out. With semi-private training, people to tend to lift at similar times with many of the same people. As people get more comfortable with each other, people tend to open up and form bonds and they get strong(er) together. I have seen this happen numerous times! Lots of my clients over the years have even taken that gym friendship and created long lasting friendships outside the gym. It is a real cool thing to witness, knowing it is all coming together under my “roof”. As an example of this, some of the ladies even got one of my clients baby gifts after her first born a year ago. That wouldn’t happen in a big box gym culture! In addition to that, the collaborative spirit of semi-private training lends itself to support inside the gym. You can often find members cheering others on as they go for a particularly heavy or difficult lift. Goes to show how powerful this little semi-private model is for friendships. Semi-private training makes real connections, real friendships, real social networks. In Part 1 we talked about the best of both world’s in Semi-Private training when it came to finances. The ability to get personalized attention without having to pay ridiculously high pricing. Today we are going to talk about the autonomy of this type of training. What do I mean about autonomy? Well, let’s dive in and see. Some trainers try like heck to “keep you in the dark” in the fitness world so they can hold onto you forever. They may queue you for proper form, but won’t explain the mechanics and the “whys” behind the workout. My semi-private training style is all about teaching the client as much as I can/they can handle. This allows for great “self-coaching” after teaching them the form and how they can feel their own body in correct form. This means that outside of the gym, you can continue to move correctly, promoting optimal health and reducing common injuries. I also talk about the “why”, and teach them to think for themselves on whether to go heavier or correct their form. While I will always be there to guide and offer advice, I also want my clients to take control of their own training. Someone who takes the lead on their workout program is more invested, and more likely to push themselves to that next step (under my watchful eye of course..) I want to create this culture that they almost “don’t need me” every second, thus making an autonomic client. This makes the gym run very smoothly so when I do have a new(er) client I can focus on them when need be. Many people like this kind of gym environment because they feel safe while performing the lifts, but don’t feel like they are being micro managed every second of their workout. It’s like having controlled freedom. Autonomy works in a small gym setting where I can easily still watch every person, new or veteran client, and make sure everyone is doing their program as best as possible. Speaking of programs, each client has their own sheet, their own lifts they are working on each day they come into the gym. This alone makes them start to “own” these specific lifts they have to perfect and make strong(er) each and every session in the gym. Next week is Part 3 of benefits of Semi-Private training! Don’t we all like “best of both world’s” scenarios? Committing to a solid workout routine is difficult enough, and when you have to compromise on that routine, it can make it difficult to to stick to. Well here at Jtab we have a few “best of both world’s” situations. I learned early on in my training career that I was going to focus on a style called semi-private. Today I am going to focus on one of the benefits of this style of training. Nowadays everyone is trying to find the cheapest prices for their favorite products, right? Go to a store and see what the want and immediately take out their phones to see if they can get it cheaper on Amazon, etc. I admit I do that also sometimes. When it comes to training and fitness there is no difference. Planet fitness’s popping up all over the place and offering $10/month memberships for whole gym access. What could be better than that, right? Most people have come to realize that private one-on-one training is pretty expensive. I mean go to your boutique personal fitness center, or the local big box fitness center and you are looking at a price of at least $60-100/hour. On top of that, they want you to buy a “package” or 5-15 sessions and before you even know it, you’ve spent a month’s mortgage on “personal” training. Those sessions will last you a month or two and then you’re left to re-up. This leads to a quick exit of training when people realize they can no longer afford the steep prices. No one is faulting the trainers here, they need to make a decent hourly rate so they can live, right? But for most of the middle class, this expense is out of reach. Enter semi-private training. This is the game changer, the “best of both world’s, the win/win/win scenario. Most semi-private is typically more than a half the cost of private training. This is due to having more than one person in at the same time. The trainer can spend great quality coaching time on you and the others in the gym, yet you pay way less that the private option. This allows the client to keep up with training month after month, without blowing their budget. On the flip side, it allows the trainer a better income while charging their clients a fraction of what personal training costs. I feel this is the ultimate win/win. If the trainer is skilled, you will not notice any drop off from one on one to semi-private in terms of coaching, cueing and spotting. While the client usually is responsible for their own sheets and setting up and breaking down their equipment, that is the small price to pay for paying a fraction of the cost of training. Today we borrowed a blog written by 2 of our favorite new members, Stephanie and Emily of Java skin care. They talked about how they joined Jtab in an effort to make healthier choices, and incorporate more exercise in their life. Check it out below to learn more about their experience and their skincare line, JAVA. At JAVA we’re always trying to make healthier lifestyle choices – and we made a REALLY good life choice when we started working out at Jtab Training with our friend Joey. We’ll admit, it had been quite a while since we’d had a regular exercise routine and the thought of getting back into the swing of things was more then a little intimidating. Lucky for us, we found a fantastic guide back into the world of fitness and now we’re not only feeling stronger and healthier, but we actually look forward to working out! Joey Taraborelli is a Certified Strength & Conditioning Specialist through the National Strength & Conditioning Association. At Joey’s gym, JTab Training, he offers a variety of programs available to fit every need, schedule and comfort level. From private to group classes, high school and college sport training, the awesome trainers at Jtab will work with you no matter your fitness level. With customized nutrition plans and open gym time available, you will build muscle, decrease body fat and live healthier as you tone your body in a safe and encouraging environment. Learn more about JAVA, view their products, and how organic raw coffee can transform your skin care routine. We’re back with another at home exercise this week. These Band Zercher Good Mornings are easy to do at home with minimal equipment (all you need is a band). Not only does the “zercher” part strengthen your core, but this movement also promotes lower back health and strength, glute and hamstring development, and upper back strength. Check it out! Ready to really rock those glutes? Today we're bringing you the advanced Glute March. It's excellent for when you're ready to move past the standard glute exercises and on to something more challenging. A few things to note, make sure to keep your hips high and your core tight to avoid using your lower back (not only will this cause stress on the area but you'll be working an area you don't want to! Also, before lifting your leg up, makes sure you drive your other foot into the ground to really make sure you activate your backside. I was prompted to write my “story” after a phone call from a mother of 2 High School/College aged kids that might start training with me. She was explaining to me that one of her sons was intimidated by the weight room because he was naturally really thin. This of course has kept him thin and self-conscious (whether you are small or larger, body issues can effect everyone and their motivation to get into the gym). As someone who struggled with the same feelings when I was younger, I thought about telling my story many other times throughout the years I've been in business. Sometimes it helps for people to know where you come from to know where you are going and why you are doing what you are. So here's my story, and it's the same story many, many, really skinny kids/teenagers have. Ever since I could remember I was the “skinny, scrawny, weak” one on my sports team, and in my grade. This was amplified even more because I was one of the older kids in my grade due to my late birthday. I played all the major sports back when I was growing up (except football, for obvious reasons). I always had good athletic potential on all my teams, but one thing was holding back from being a better athlete was my size and lack of natural strength. I wasn’t gifted with the best genes for size and strength (thanks to my parents haha). Not one day would go by without one of my teammates making fun of me for being really weak and scrawny. At times it got to me, yet I often brushed it off as “what can I do about it”. Many times I was down, mad and angry about it. I remember before going to baseball practice during Middle School days, I would go on the small portable rowing machine we had at the house to try to get my muscles bigger and “working”. Looking back, I think I was trying to pump up my muscles so I didn’t feel so scrawny. During that same time, I often went down and used some of my Dad’s plastic weight set to do some lifting because I was fed up being made fun of. It was here that I really began my weight lifting journey. My Dad showed me some basics and then I was hooked. I can remember being angry while lifting and trying not to give up at my tiny muscles. Just like a heavier person not seeing the results they think they should be, it is easy to give up and “accept” the fact your body is just not going to be how you want it. Although I did not get “jacked” down in the basement, it started a lifelong love for lifting weights. While it started more as a reaction to being made fun of, it eventually grew into a consistent practice and lifestyle. Even with the little lifting now and then down in the basement, and all the sports I played throughout my middle school and HS days, I still left HS about 135lbs soaking wet. With little self confidence, I entered college and took my lifting a little more seriously each and every year. I learned from some of the older guys I lifted with (baseball and basketball team players and 1 jacked volleyball teammate haha) and also through research of whatever I could get my hands on. Through hard work and consistency, I left college feeling pretty comfortable lifting, training people (that’s another story for another blog soon), and really cementing my passion of working out and also helping people to workout. It all started in my basement with my Dad’s old York weight set and turned into my calling. Another reason to eternally be thankful for my Dad and all he gave to me and taught me. Though I’m usually a steady 178-186 lbs of decently muscular frame, I tend to revert back to my old lack of self confidence days once in a while. Sometimes we forget to see where we’ve come from and all the progress we have made along the way. Don’t look back too long, but revel in your small and large accomplishments with your health and nutrition (better choices as you age hopefully)! I am currently rehabbing from a nasty injury to my arm setting me back months, but I know that just like I did all those years ago, I will once again overcome life’s struggles and HULK SMASH roadblocks! 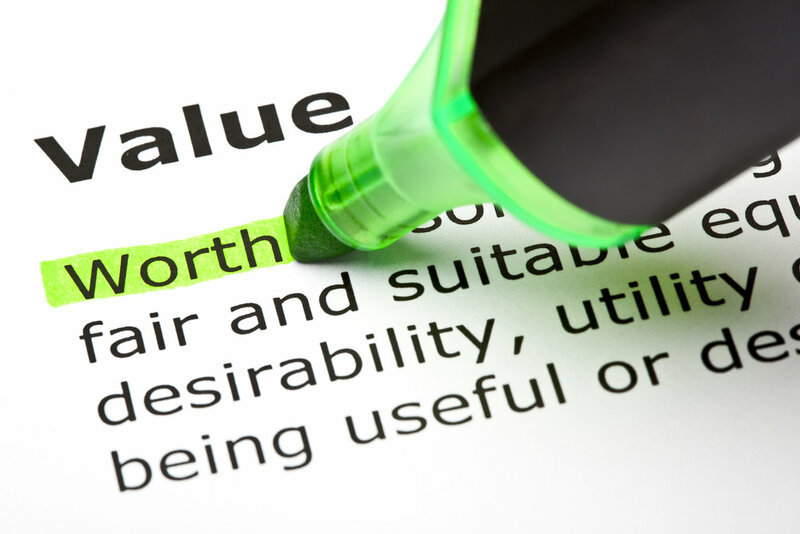 Value is defined as “estimate the monetary worth of (something)”. This leads me into one of the questions I get all the time. “Why should I spend money on personal training”? Well - that’s a question you won’t even have to ask once you see the “value” of it. This about what you “value” and spend money on all the time. You pay an accountant to handle your finances. You pay a store for clothing instead of making them yourself. You pay an electrician, plumber or carpenter to come fix something in your house when you break. We are willing to spend money on these things because not only does it save us time, we know that it will be done right. So when it comes to our body’s, why are we so willing to cut corners? We only get one body, so why aren’t we willing to invest in ways to take care of it? Whether it’s paying more for higher quality food, or investing in personal training, placing “value” in your health is one of the most important things you can do. 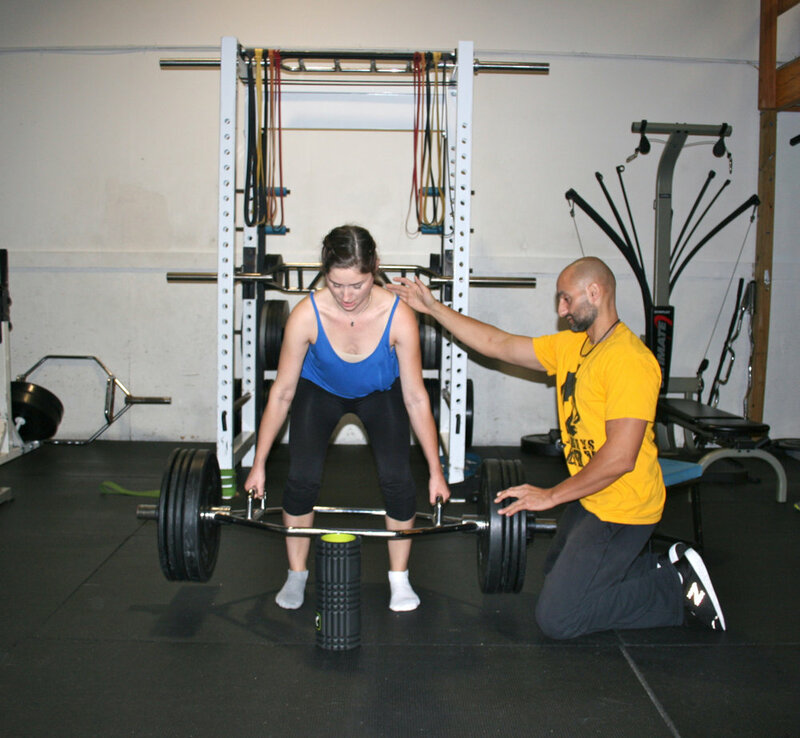 At Jtab Training I teach clients how to lift and exercise properly under their current abilities. What is the benefit of this? You are getting a better workout, in less time, and with fewer injuries. The words I hear a lot are, “I would be lifting improperly or wasting my time at the gym if I weren’t training with you”. I started my small personal training studio business because I felt I could add a lot of “value” to client’s fitness routines. In many cases, and especially when it comes to your health, choosing to invest in the right way of doing things ends up saving you time and money, as well as helps you reach your goals faster and more efficiently.